The Snooty Mouse is a breed of mouse found in all locations except Meadow. It drops King's Credits as loot. Snooty mice enjoy the finer things in life, trading their stockpiles of King's Credits for gourmet cheese and fine clothing. Never wanting to miss an opportunity to purchase fancy thingymajiggers or exquisite doodlehickies, they always carry a large quantity of King's Credits with them. Catch this mouse and win King's Credits that can be exchanged for cool prizes! 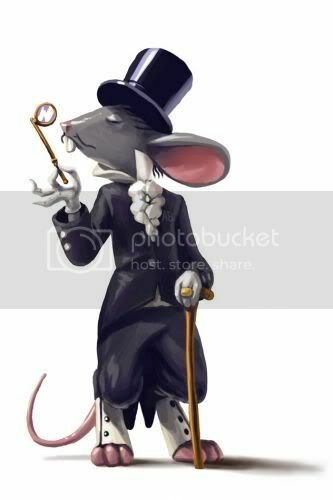 As of 18 November 2015, the Snooty Mouse does not consume cheese or charms when attracted or caught. The Snooty mouse is a typical member of the Event Mice group. All power types are of normal effectiveness against it with exception of Parental which is ineffective. After catching a Snooty Mouse, it is not possible to catch another one for 24 hours. During special events such as the King's Giveaway, the cooldown period may be lowered. Snooty mice were first released on 11 November 2010. During the King's Giveaway 2010, failure to catch a Snooty Mouse resulted in an increase of one Prize Power during the giveaway Event. This page was last edited on 18 November 2015, at 18:31.